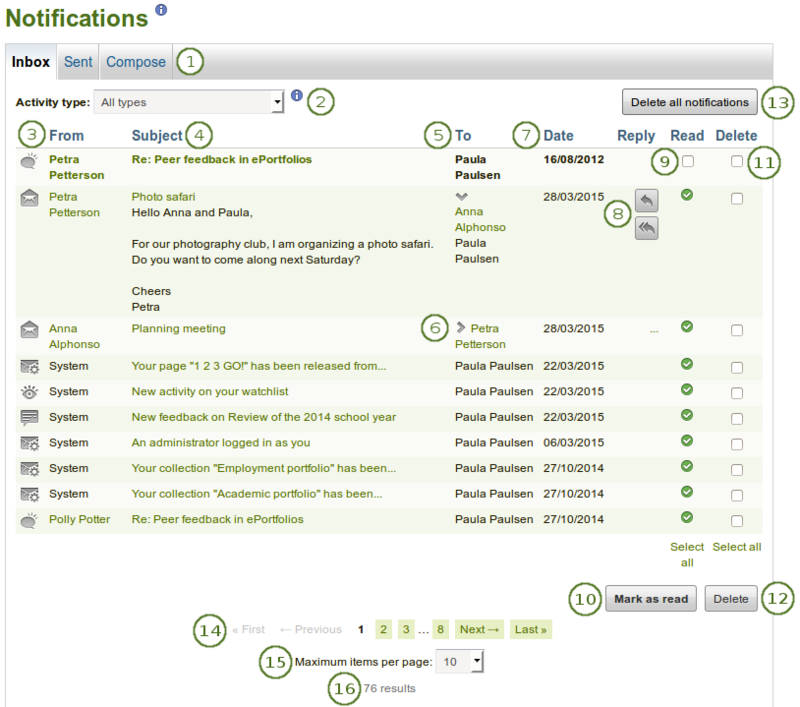 When you send a message to at least 2 people, they aren't displayed in the list of recipients as they were in 15.04 (see #5 at http://manual.mahara.org/en/15.04/_images/inbox.png ). See the attachment for what it looks like in 15.10 and 16.04master. Only the first person added to the recipient list is displayed. When you are logged in as the first person, you see your name. When you are logged in as the second recipient, you see the name of the first person with a link to their profile page. Both / all people receiving the message need to be listed.